American Indians and Alaska Natives have long held a state-conferred right to health, yet Indigenous communities across the United States continue to experience significant health and health care disparities. In this paper we posit two contributing factors: socialization for scarcity in tribal health care, and a slowness among health workers and allied health and social scientists to make explicit and convincing linkages between social determinants of health and human rights. We then summarize one attempt to align tribal health care delivery in the Alaskan Arctic with a rights-based approach, highlighting both the role of social and structural determinants as causes of health disparities and the role of social and structural interventions in local efforts to chart a future of equal health for our home. American Indians and Alaska Natives (AIAN) were among the first global citizens to hold an unambiguous state-conferred right to health.1 Yet the burden of disease in AIAN communities remains staggering, and the language of rights, trust, and treaty has only at length begun to galvanize the political will necessary to drive parity in tribal health care appropriations, delivery, and outcomes.2 In this paper we posit two contributing factors: socialization for scarcity in tribal health care, and a slowness among health workers and allied health and social scientists to make explicit and convincing linkages between social determinants of health and human rights. Broader strategic participation among tribal entities and advocates in the right to health movement may serve to buttress action to address both problems. Conversely, AIAN health organizations, tribes, and activists have much to offer the global movement toward health as a human right. The paper then summarizes one attempt to align tribal health care delivery in the Alaskan Arctic with a rights-based approach, highlighting both the role of social and structural determinants as causes of health disparities and the role of social and structural interventions in local efforts to chart a future of equal health for our home. The Maniilaq Social Medicine Program (SMP) is a center for health care innovation in Northwest Alaska working with regional, state, and national partners to build systems of care around the principles of health as a human right, social determinants as primary drivers of health, and social medicine as a key framework for realizing the AIAN right to health. SMP houses a clinical staff tasked with linking tribal government and social services to the regional primary care system; education programs designed to promote biosocial analysis of health and health care delivery; a tribally governed research division working at the intersection of social science and medicine; clinical partnerships with an academic medical center to address staffing and complex care challenges; and a policy advocacy mission to partner with regional stakeholders to advocate for policies that advance Alaska Native cultural, economic, health, and social rights. The paper concludes by highlighting strategies that other Native communities, governments, and health systems may find useful in forwarding the AIAN right to health. Though important gains have been made since the advent of the Indian Health Service, there remains a long road ahead.18 In the following sections, we posit two related factors contributing to the persistence of inequities in AIAN health and care delivery: socialization for scarcity in AIAN health systems, and a slowness among health workers and allied health and social scientists to make explicit and convincing linkages between social determinants and the right to health. Broader strategic participation among tribal entities and advocates in the global right to health movement may serve to buttress action to address both problems. AIAN health disparities have become an entrenched fixture of the American social imaginary; that is, much to the detriment of tribal health care, they have become normalized.19 Matters of Indian health have historically entered public consciousness in patterned ways, from the overtly racist (for example, in portrayals of AIAN life in film) to the seemingly necessary (for example, in health disparities research meant to galvanize policy action).20 While recent decades have seen a proliferation of more nuanced and varied media portrayals through local activism, AIAN journalism, research focused on community strengths and resilience, and greater autonomy in the production of public narratives in Native communities, it appears true that Americans in general—and perhaps health workers in particular—expect Indigenous people, far more than others, to be sick. Paul Farmer’s concept of ‘socialization for scarcity’ is familiar to many working at the intersection of health and human rights. Socialization for scarcity indexes how limited health resources for the socially marginalized are normalized in a global health policy and care delivery. The concept points to the widespread narrative that (presumably) inherent resource scarcity translates to a lower standard of care for the world’s poor.21 Socialization for scarcity frames a calculus of health resources, disease burden, and political order that concludes that there is simply no way that health care for the world’s rural, poor, and minority populations can equal health care for its urban, wealthy, and white. In the context of tribal health systems, this translates to an expectation that we (as Americans, as a federal government, or as local health systems) simply lack the resources to systematically redress health inequities across Native America. Working for a tribal health system in Alaska, we have come to appreciate this concept for several reasons. First, ‘scarcity’ acknowledges the basic reality of resource poverty. For tribal health workers, it is generally not unwarranted to make claims about an actual, material shortage of the resources needed to provide perfect—or even very good—care.22 Second, it relates this status to a field of beliefs and ideas that, though reflective of material reality, are fundamentally social in nature. ‘Socialization’ implies that notions of scarcity are acquired, un-tame, unfixed—and therefore modifiable. Socialization is an event, albeit a subtle one, that allows for the maintenance of a state of affairs through the twin vehicles of narrative and expectation. It comes to rest in the minds of those engaged with problems of inequity, as both an anesthetic to suffering and a barrier to broad and systemic change. So the question arises: Is it possible to disrupt the socialization of tribal health care workers, policymakers, and community stakeholders to resource-poor health care infrastructure, enduring health disparities, and a lower standard of care for American Indians and Alaska Natives? And is it possible to disrupt the expectation on behalf of the American public that these disparities are inevitable, immovable, and allowed? American Indians and Alaska Natives have been among the more convincing scholars to understand and articulate how specific social forces shape health outcomes.38 Additionally, Native communities have begun to occupy increasingly sovereign roles as administrators of their own health services.39 This opens up a wide space for innovation in tribal health care that foregrounds the local social context of health disparities, outcomes, and care delivery, and which promotes action across multiple strata of social determinants of health.40 This, we suggest, will be a central concern in the coming decades of AIAN health policy: to define problems and elect strategies for their remediation based on thorough, multidisciplinary biosocial analysis that links broader understandings of human experience and action to health systems and care. In other words, social medicine. Envisioned in 2015 and formally inaugurated by Northwest Alaska’s regional tribal health organization in January 2017, SMP forwards an advocacy and equity agenda in tribal, health, and social services to promote the Alaska Native right to health. SMP’s mission is to wed regional health care delivery to an actionable equity plan by building strong, sustainable, and scalable systems of care grounded in social medicine theory and practice. Within the context of Northwest Alaska, the region discussed in the rest of this paper, SMP has proven an effective platform for organizing resources to address the social determinants of health on several levels. By linking tribal health care delivery to the global right to health movement, SMP has grown in two years from an unstaffed, unfunded concept to an impactful program operating across clinical, education, policy, and research divisions. The remainder of this paper documents SMP’s early efforts and highlights scalable strategies for other health systems facing health disparities borne of social inequity. 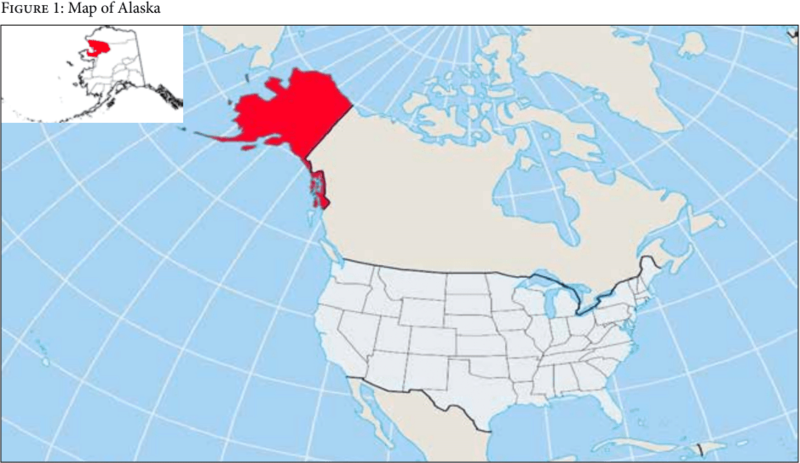 Maniilaq Association is the sole health care and social services provider for 12 circumpolar Inupiat (Alaska Native) villages spread across 38,000 square miles of the Alaskan Arctic (See Figure 1). The Maniilaq service area (MSA) encompasses the entirety of Alaska’s Northwest Arctic Borough and the North Slope village of Point Hope, with a total population of 8,391, 83% of whom are Alaska Native. Kotzebue is the regional hub city, with a population of 3,201. The 10 additional MSA villages are Ambler, Buckland, Deering, Kiana, Kivalina, Kobuk, Noorvik, Noatak, Selawik, and Shungnak. As there is no road system connecting these communities to each other or to the rest of the state, travel is accomplished by small aircraft or, seasonally, by snowmobile or boat. Economic development, climate change, and tactical assimilation have applied a wide range of competing structural forces within Inupiat communities.54 To take one example, contradictory pressures to enter the wage labor economy or to continue traditional subsistence practice are mediated by an exceptionally high cost of food, limited educational and employment opportunities, rapid environmental change, exploitation of natural resources impacting subsistence foods availability, and public moral stands against the ongoing structural pressures of colonialism.55 Dependence on subsistence foods relates on each of these levels to both culture and economy.56 In a region where rapid social change and culture loss are indexed locally as drivers of poor health, subsistence practice retains incredible power as an anchor to shared cultural life. In addition, availability of fresh foods is limited throughout the region; where supply exists, extreme cost further limits access. Yet existing outside of a wage labor economy has grown increasingly difficult. Cost of living is higher than in many major US cities, and social and climate change place significant barriers to subsistence practice. This one facet among many in which highly pressurized, competing forces vie to define the Arctic’s future. In creating SMP, Maniilaq aimed to create a regional community of practice which foregrounds the lived, local social context of health disparities, outcomes, and care delivery, and which promotes action across multiple strata of social determinants of health.57 The program serves as a vehicle for long-term planning, policy, education, clinical care, research, and community advocacy by collaborating with local agencies and stakeholders, developing academic and clinical partnerships, and integrating tribal and social services into the regional primary care system. SMP applies a human rights framework to action on social determinants of health by organizing services around a preferential option for those without ready access to care; by organizing its priorities and strategy around an equity plan, taking for granted that the same standards of health and health care apply to rural Alaska Natives as anyone else; and by seeking to bring tribal health care delivery into the fold of the broader global right to health movement by working with activists, academic and clinical partners, and policymakers working at the intersection of health and human rights. The program’s four key divisions are highlighted in the following sections. SMP’s initial mandate from its board of directors was to create an integrated primary care system linking social, tribal government, behavioral health, and general medical services. In organizing our early efforts, we drew on Diderichsen’s model of the social production of disease, later adopted by WHO as a framework for action on social determinants of health.58 This framework posits that social stratification fosters differential exposure to conditions that impact health, differential vulnerability to those conditions based on material and social resources, and differential consequences of injury and disease based on access to health care, material support, and other socially determined factors. In addition, poor health circularly propagates social inequality by reducing economic security, mobility, and access to social supports. Therefore, primary care systems that address the proximate social determinants of health help to shape a world where the distribution of these causes is more just. Conversely, addressing the social causes of health fundamentally requires addressing the social causes of their distribution by redressing (for example, through SMP’s policy vehicles) larger structures of inequity that both produce and are propagated by poor health. To fund its early work, SMP applied for and received several federal grants to support care system planning, infrastructure development, and service expansion. In 2017 and 2018, Maniilaq Health Center created three new clinical roles, deemed social medicine counselors, in its outpatient and women’s health clinics. Operating as integrated members of the primary health care team, these health workers address a wide range of social needs through emergency assistance programs, housing and food subsidies, education and job training, Medicaid assistance, tribal doctors, legal counsel, a traditional foods program, chore support and transportation for elders, nutrition and diabetes counseling, childcare assistance, tobacco cessation programs, tribal vocational rehabilitation, disability services, and other key social programs. As licensed clinical social workers, the social medicine counseling team also serves to improve access to mental health care, focusing in particular on expectant mothers, infants and children, and medically complex patients with behavioral health comorbidities. Health professional shortages across rural America are well remarked-upon, and numerous federal programs have been built to address this problem.59 Less thoroughly investigated is the concrete impact on health outcomes wrought by high turnover, chronic understaffing, poor continuity of care, and limited resources for complex care management in rural tribal health systems. Sustainable staffing models are an urgent need in Indian Health Service facilities and tribally operated health care organizations, and were noted as a high priority by Maniilaq leadership. To address the primary care workforce itself as a social determinant of health, SMP established a clinical partnership with the Massachusetts General Hospital (MGH) Fellowship Program in Rural Health Leadership (RHL), a post-residency fellowship program that supports primary care providers in developing clinical and health leadership skills in rural communities. Utilizing a staffing model developed in Rosebud, South Dakota, RHL fellows and affiliated clinicians will maintain ‘institutional continuity’ (that is, sourcing clinicians from a consistent program) while rotating between Maniilaq Health Center and MGH. These providers will maintain a dedicated patient panel, handing off care as they rotate between MGH and MHC. The first RHL-affiliated physician arrived in Kotzebue in October 2017, and its first cohort of five mid-level providers is anticipated in January 2019. SMP’s second aim was to create a regional hub for learning and action on social determinants of health to train health workers, learn from community experts, deliberate on clinical and policy decisions, and build relationships between community members, health care providers, tribal government and social services workers, and other stakeholders. In 2017, SMP established two education programs at Maniilaq Health Center, both jointly administered with the MGH Department of Medicine. Social Medicine Grand Rounds is a program aimed at building coordinated clinical, organizational, and community capacity to address social determinants of health.60 Grand rounds bring tribal, health, and social service workers together for monthly meetings in which a range of social medicine topics are used to drive health planning, focused on priority health disparity areas. In addition to its local utility, the program aims to demonstrate a scalable process model for moving social medicine education beyond the preclinical curriculum into practice, policy, and health systems, and for building and leveraging shared training infrastructure with academic partners to increase the capacity of rural health centers. The second program, Project ECHO, is a case-based tele-mentoring program directed at building capacity among rural primary care providers to deliver best practice specialty care in community settings. Developed by Sanjeev Aurora at the University of New Mexico Health Sciences Center, the model links specialist teams with local clinicians through videoconference-based clinics, in which brief didactic presentations and longer case-based discussions are used to support clinical mentorship, guided and reflective practice, and practical gains in knowledge.61 The first SMP clinic is focused on psychiatry and addiction medicine in rural Alaska, with a particular focus on culture, resilience, and social determinants of mental health. The core faculty for the inaugural clinic includes a local community health worker (Tanya Kirk), a medical anthropologist and psychiatrist (Arthur Kleinman), and an Alaskan clinical psychiatrist (Mark Erickson). A central premise of SMP is that health-impacting polices should be authored by and for their beneficiaries, and that effective community governance is at the heart of responsive health care systems. SMP works with a range of local, regional, and national organizations (regional corporations, academic health systems, local and state politicians, village wellness coalitions, tribal governments) and community stakeholders to shape strategy, and to promote broader social policies that advance the right to health. Practical and conceptual frameworks from global health and social medicine have bolstered many of these efforts. For example, the concepts of accompaniment, structural violence, social suffering, and structural barriers to care—each of which emerged at the intersection of global health and human rights—have informed many policy decisions and programming efforts at SMP. For example, the concept of accompaniment has guided the development of practice guidelines for regional community health worker programs, and identifying and reducing structural barriers to care has been a core project of the social medicine counseling staff. These frameworks have also proven useful in staking out and articulating policy positions that advance health and social rights. One of SMP’s primary non-clinical collaborations is with Maniilaq Wellness, a village-based program utilizing the framework of decoloniality to promote cultural, social, and physical wellness. The two programs work together to advance a framework similar to Amartya Sen’s capability approach, which holds that human development can be supported through initiatives that remove social and structural obstacles to realizing basic human freedoms, agency, and health.62 SMP and Maniilaq Wellness host learning circles to engage community members as health planners, discuss and develop community protective factors, promote culture as prevention, and develop strategies for addressing the social determinants of health. A persistent challenge in tribal health care delivery is the lack of research evidence to guide policy decisions. While it is true that American Indian and Alaska Native communities are often geographically distant from universities and academic medical centers where such projects are often housed, there is also a history of extractive research with little tangible benefit for participating communities, and in the worst cases, unethical medical experimentation on American Indians.67 Mistrust of researchers is justifiably common, though the need for research agendas responsive to local need is also acute. Tribal entities have responded in some cases by establishing forms of review boards and other processes for governing health research. Maniilaq Association has navigated this terrain through its governing board, comprised of elected representatives from each of the 12 service area tribes. This board reviews and makes decisions on all research proposals, processes, and publications. Consequently, it has produced a large volume of health research through university and health center partnerships. SMP’s research agenda aims to create long-term partnerships that drive knowledge production directed at action of specific, measurable utility, focused on mobilizing health systems and other community supports to reduce health disparities by addressing social determinants of health. In this sense, the SMP’s efforts center on creating an evidence base for the indivisibility of social, economic, and cultural rights, and the right to health. Active studies in 2018 include community-level outcomes from a suicide prevention intervention, provider practice pattern outcomes tied to SMP’s clinical education programs, and service utilization and health outcomes related to the integrated primary care model. Each project is designed with clinical and programmatic quality improvement efforts in mind, and is meant to translate to meaningful recommendations to improve regional services. The need is great to shape local and national platforms for advocacy and activism to promote the AIAN right to health; to develop research programs linking social, economic, and cultural rights to the right to health; and to build capacity within primary care systems to address the social determinants of health as part of the basic purview of care. The community-based/academic-partnered SMP approach weds local knowledge and experience to the clinical and training infrastructure, resources, and reach of a leading academic medical center, and serves to link diverse perspectives on human health to a unified equity program in Alaska Native communities. Social medicine itself as a moral and intellectual scaffolding for this work suggests a blending of perspectives from community stakeholders, social science, public health, and clinical medicine, and prioritizes both a preferential option for the marginalized and a focus on the ways in which SDH frameworks can inform care. The history of the AIAN right to health can serve as a point of leverage to increase public awareness and policy action to promote AIAN health equity. It may also serve as a meaningful case study for those working to realize this right in other contexts. Unfortunately, this history also demonstrates that a number of steps follow the establishment of a state-conferred right to health, not the least of which is making a case for research, policy, and clinical care to address the social determinants of health. Though a small-scale effort, we hope that the Maniilaq Social Medicine Program can contribute on both conceptual and practical levels to the critical intersection of social determinants, human rights, and health. Lucas Trout, MA, is managing partner at Maniilaq Social Medicine and lecturer on global health and social medicine at Harvard Medical School, Kotzebue, Alaska, USA. Corina Kramer is director of culture and health promotion at Maniilaq Social Medicine, Kotzebue, Alaska, USA. Lois Fischer, MSW, is social medicine counselor at Maniilaq Health Center, Kotzebue, Alaska, USA. Please address correspondence to Lucas Trout. Email: lucas_trout@hms.harvard.edu. Copyright © 2018 Trout, Kramer, and Fischer. This is an open access article distributed under the terms of the Creative Commons Attribution Non-Commercial License (http://creativecommons.org/licenses/by-nc/3.0/), which permits unrestricted non- commercial use, distribution, and reproduction in any medium, provided the original author and source are credited. B. Shelton, Legal and historical roots of health care for American Indians and Alaska Natives in the United States. (Menlo Park, CA: Henry J. Kaiser Family Foundation, 2004). Declaration of national Indian health policy, U.S. Code 25 (1976), § 1602. The Snyder Act, S. Code 25 (1921), § 13. D. Warne and B. Frizzell, “American Indian health policy: Historical trends and contemporary issues,” American Journal of Public Health 104/3 (2014), pp. 263-267. Worcester v. Georgia. 31 U.S. 515 (1832). Act of March 3, 1849, ch.108, § 5, 9 Stat. 395. The Snyder Act, § 2. Y. Roubideaux, “Perspectives on American Indian health,” American Journal of Public Health 92/9 (2002), pp. 1401-1403. Indian Self-Determination and Education Assistance Act of 1975, Public Law 93-638, U.S Statutes at Large 88 (1975), pp. 2203-2217. Declaration of national Indian health policy, 1602. S. Kunitz, “The history and politics of US health care policy for American Indians and Alaskan Natives,” American Journal of Public Health 86/10 (1996), pp. 1464-1473. Warne and Frizzell (see note 4). Council on Graduate Medical Education, Tenth report: Physician distribution and health care challenges in rural and inner-city areas. (Washington, DC: Department of Health and Human Services, 1998). L. Trout, D. McEachern, A. Mullany, L. White, and L. Wexler, “Decoloniality as a framework for indigenous youth suicide prevention pedagogy,” American Journal of Community Psychology 62/3 (forthcoming). L. Trout, T. Kirk, E. Erickson, and A. Kleinman, “Place-based continuing medical education in the rural North,” Northern Public Affairs 6/2 (2018), pp. 42-45. D. Jones, Rationalizing epidemics: Meanings and uses of American Indian mortality since 1600 (Cambridge, MA: Harvard University Press, 2009). C. Bainbridge et al., On the trail of the Hollywood Indian: Reel Injun. Documentary. Directed by Neil Diamond et al. 2009. Toronto: Domino Film, 2009. DVD. P. Farmer, “An anthropology of structural violence,” Current Anthropology45/3 (2004), pp. 305-325. Jones (2009, see note 19). King, A. Smith, and M. Gracey, “Indigenous health part 2: The underlying causes of the health gap,” Lancet 374/9683 (2009), pp. 76-85. O. Solar and A. Irwin, A conceptual framework for action on the social determinants of health: Social determinants of health discussion paper 2 (Geneva, Switzerland: World Health Organization, 2010). L. Kirmayer, J. Gone, and J. Moses, “Rethinking historical trauma,” Transcultural Psychiatry 51/3 (2014), pp. 299-313. H. Rittel and M. Webber, “Dilemmas in a general theory of planning,” Policy Sciences 4/2 (1973), p. 166. D. Jones, “The persistence of American Indian health disparities,” American Journal of Public Health 96/12, pp. 2122-2134 (2006). Jones (2009, see note 19), p. 3. D. Porter, “How did social medicine evolve, and where is it heading?” PLoS Med 3/10, p.e399 (2006). P. Farmer, B. Nizeye, S. Stulac, and S. Keshavjee, “Structural violence and clinical medicine,” PLoS Med 3/10 (2006), p. e449. F. Fanon, The wretched of the Earth (New York, NY: Grove Press, 1966). A. Kleinman, V. Das, and M. Lock (eds), Social suffering (Berkeley: University of California Press, 1997). Farmer (2004, see note 21). Kirmayer, Gone, and Moses (see note 26). M. Brave Heart and M. DeBruyn, “The American Indian holocaust: Healing historical unresolved grief,” American Indian and Alaska Native Mental Health Research 8/2 (1998), p. 56. L. Trout, K. Salters, R. Inglis, M. Tobey, and J. Kasper, “Social medicine grand rounds: A collaborative education hub to promote action on social determinants of health in rural Alaska,” Social Medicine 11/3 (2018), pp. 122-132. R. Arnold, Alaska native land claims (Anchorage, AK: Alaska Native Foundation, 1975). Shelton (2004, see note 1). N. Chance, The Inupiat and Arctic Alaska: An ethnography of development. (New York, NY: Holt Rinehart & Winston, 1990). G. Berardi, “Schools, settlement, and sanitation in Alaska Native villages,” Ethnohistory 46/2 (1999), pp. 329-359. Trout et al. (see note 17). Alaska Native Epidemiology Center, Alaska Native health status report (Anchorage, AK: Alaska Native Tribal Health Consortium, 2009). Denali Commission, 2017 Distressed communities report (Anchorage, AK: The Denali Commission, 2017). State of Alaska Department of Labor and Workforce Development, May 2017 preliminary unemployment rate. (Anchorage, AK: State of Alaska Department of Labor and Workforce Development, 2017). I. Blake, P. Holck, and E. Provost, Alaska Native mortality update: 2009- 2013 (Anchorage, AK: Alaska Native Tribal Health Consortium, 2016). L. Wexler, M. Silveira, and E. Bertone-Johnson, “Factors associated with Alaska Native fatal and nonfatal suicidal behaviors 2001–2009: Trends and implications for prevention,” Archives of Suicide Research 16/4 (2012), pp. 273-286. L. Trout, L. Wexler, and J. Moses, “Beyond ‘two worlds’: Identity narratives and the aspirational futures of Alaska Native youth,” Transcultural Psychiatry 55/6 (2018), pp. 800-820. R. Wolfe and R. Walker, “Subsistence economies in Alaska: Productivity, geography, and development impacts,” Arctic Anthropology, 24/2 (1987), pp. 56-81. Trout et al. (see note 54). Solar and Irwin (see note 25). R. Rosenblatt and L Hart, “Physicians and rural America,” Western Journal of Medicine 173/5 (2000), p. 348. Trout et al. (forthcoming, see note 40). S. Arora et al., “Academic health center management of chronic diseases through knowledge networks: Project ECHO,” Academic Medicine 82/2 (2007), pp. 154-160. A. Sen, “Human rights and capabilities,” Journal of Human Development 6/2 (2005), pp.151-166. S. Kidd and M. Kral, “Practicing participatory action research,” Journal of Counseling Psychology 52/2 (2005), pp.187-195.